Replacing a small 3m2 washroom with a wetroom, and contemplating the use of Hardie's 22mm structural board HardieFloor (http://www.jameshardie.co.uk/hardiefloor) in a bid to achieve levelling with existing floorboards in the neighbouring room and the 22mm Impey WetDec former. DOES ANYONE HAVE ANY EXPERIENCES TO SHARE OR RECOMMENDATION ON REGARDING THE PRODUCT AND PROPOSED APPLICATION?. The plan is to: 1) strengthen joist work (noggins screwed with Spax quality screws). 2) lay insulation between joists ANY RECOMMENDATION ON INSULATION. 3)Fix HardieFloor - (Spax quality 50mm screws at 100 intervals, 25mm from edges + gripfill type adhesive on T&G ends). 4) Apply tanking membrane (preparing HardieFloor according to chosen tanking system e.g. priming)- was planning on using Impey's Tilesafe but given its vertical tile load and heating limits I am looking for alternatives - perhaps Impey's Waterguard, ANY OTHER RECOMMENDATIONS FOR TANKING MEMBERANE PLEASE? 5) securely fix RCD protected UHT (compatible with the chosen tanking membrane) ANY RECOMMENDATIONS FOR UHT SYSTEMS? 6) consider applying (depending on the robustness of the UHT mats) SLC for general floor area and slurry of rapid setting flexible tile adhesive on former tray. 7) Lay tiles with flexible adhesive and grout that are compatible with the chosen membrane system. ANY OTHER ADVICE, MISSED STEPS ETC? Given the small area I intend to waterproof full length of all walls. Have you tried to speaking to the technical department at Hardies? They are usually quite keen to give you the info you need. 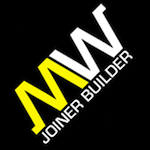 Lancashire Building, Roofing, Joinery & Maintenance. Marcus Whitehead Property Services. Wetroom wall covering - can I paint/re-cover? Rics surveyor or structural engineer?